Day Trading VS Trend Following, Which is Better? In trading, there is no one size fits all. Some would prefer trading on the shorter time frame and others would prefer trading on the longer time frame. The beautiful thing is that traders can be profitable even on different time frames. Often in your early years of trading, you would probably wonder which trading time frame is better? Thus in this post I will share with you the pros and cons of day trading and trend following. This gives you a better understanding of both approaches, and you can decide for yourself which is better for you. Usually refers to buying/selling of financial instruments over a short period of time, anywhere from minutes to hours. Day traders profit from the short term price movement and do not hold positions overnight. Since day traders only hold trades for a short period of time, you can expect them to have a high frequency of trades. Depending on the aggressiveness of the trader and the number of markets you trade, you can have anywhere from 1 to 20 trades a day. On average you can expect to generate a hundred trades or more each month. If you have an edge in the markets and allow the law of large numbers to work in your favor, you can be profitable on most months. So if you are talking about consistency for day traders, you can look at it from a monthly or quarterly standpoint. Traditional investors typically earn an average of 8% a year holding an index fund. However, for a day trader, judging your performance based on percentage returns may be misleading and here is an explanation. Day trading can be a tool to replace your fix paying job as your returns can be consistent over a shorter period of time. At a retail level, transaction cost is close to being linear. So the more trades you have the greater your transaction cost. One thing to note is that the transaction cost differs across financial instruments. E.g. in Forex you usually pay the spread only, whereas for stocks you pay both the spread and commission. There is no doubt that day trading is stressful. And a large part depends on whether you have bills to pay or are already retired with enough money to survive on. What this means is whether you can apply the same trading strategy as your account size grows. Day trading has limitations as your account gets much larger. You will tend to get bad slippages and may even find yourself moving the markets against you. But for retail traders, this won’t be much of a concern yet. Split up the two words and you will understand what trend following is about. 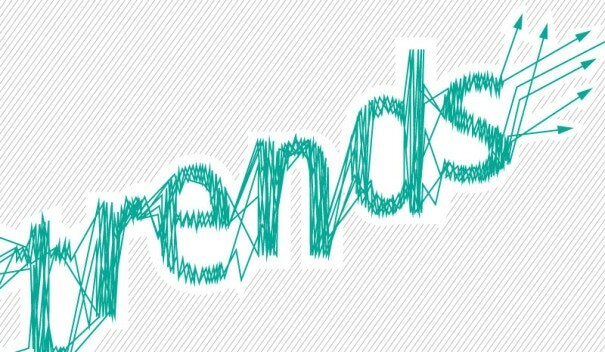 ‘Trend’ is when price moves in a single direction up or down over a period of time. ‘Following’ is basically to follow. Thus trend following is simply following the direction of price. Trend followers profit from long-term price movements and hold can hold positions for months at a time. To learn more you can download my free trading course here. Since trend followers seek to capture the longer term trend, your trading frequency will be lower compared to day traders as you are trading off the higher time frames. Your trading frequency will be a function of a number of markets and time frame you choose. Personally, I trade mostly off the 4-hour charts and watch about 60 markets, so I do anywhere between 10 to 20 trades a month. Most trend followers trade off the daily charts and have a low frequency of trades. Given the law of large number, it is not logical to expect consistency every month. Instead, you should be looking for consistency on a yearly basis. Trend following learn towards wealth building rather than income generating, so you have to manage your expectations accordingly. Trend followers performance are usually judged based on percentage returns. If you want to learn more about their performance you can check out this post by Andreas Clenow. The really great trend followers average anywhere from 15 – 20% a year over the last 20 years. Whether you are a retail trader of an institution, transaction cost for trend followers are negligible mainly due to a low frequency of trades. If you read Market Wizards, there is a legendary trend follower called Ed Seykota. He trades off the daily charts and would wait for the markets to close before placing his orders the next day. Most trend followers trade in a similar fashion and usually spend no more than 15 minutes a day trading, or should I say placing orders. In terms of stress and emotional trauma, trend following is on the opposite end of day trading as you can afford to be away from your monitors most of the time. Trend following is scalable. Hedge funds like MAN AHL manage more than a billion dollars and they adopt a trend following approach. If you are someone who holds a 9 to 6 job then day trading wouldn’t make sense for you given your time constraint, and trend following would be more suitable. Likewise, if have no financial liabilities and enjoy trading the markets actively then day trading would be suitable for you. Thus the question of which approach better boils down to your time available, lifestyle and expectations. As mentioned earlier there is no one size fits all in trading. So, which trading approach suits you better? Hi Rayner, what about a combination of the two if you can afford to be at your trading desk. That’s a good question. Yes it is possible and can be very profitable if one is proficient in being both a day trader and position trader. He could establish position from a day trading approach and ride it to a position trade. However, there are far and few in between and I’ve only seen one trader that manages to pull it off. Hi Rayner, quality post as usual! What do you think of the “cons” of such method? Wana know your opinion on his approach. No disrespect to Graeme because I find his thread to be very useful, but personally I do know of someone else who does it. The cons is that you may face analysis paralysis trading from the short to higher time frames. Because the trend is never in the same direction from the weekly down to 5 mins. But it’s definitely possible way to trade, as I’ve seen it myself. And it usually results of being proficient in one approach of trading and then expanding further. With regards to your question, the cons to Graeme approach would probably be the low winning % which would turn most traders off. Most legs will be stopped out for loss or break even, and only a few will survive. Psychologically it’s not easy to handle. thank you so much for your article. I fully agree with you! All aspects are fully covered I guess. I can comment from my side, – I guess trading strategy/timi frame also depends on the market. I have found, that Forex/Commodities are just great on H4/D1 timeframe, but stocks – are not so good, that is why it is better for me to trade stocks on M5-15 charts. Do you trade CFD/Stocks or you prefer Forex/commodities instruments? I don’t trade stocks but i do trade indices as they are part of my portfolio of products i trade. I don’t have any preference i trade them all, as a form of diversification as i never know when a trend will emerge for me to capture. Yes I agree with you rayner, and I think one has to be a succesful daytrader in order to implement his method. Also its the good old discussion of “time vs effort vs reward”, as one has to maintian the frequency to enter both buy and sell everyday. I personally find it a very demanding job. Of course someone can enter on the higher timeframe to reduce the screentime required to build legs daily, but without the upskilled that Graeme has it will just bleed your account accessively before you getting solid legs established. All in all, I still think that it is the most powerful method I have personally come across, but as you said its really hard to pull it off in terms of patience and your own mentality to see large numbers of legs dying one by one. Yes that style of trading is demanding and it’s definitely requires lots of screen time, if someone has a full time job it will not be likely to adopt such an approach. It’s nice to see different style of traders out there and create something that fits your personality. I wish I could consistenly work on Daily or H4 TF, but most of the time i feel it’s difficult to catch a setup. I also often miss the timing. Can we jump to the market as long as the trend is still valid? What’s your tips? If you find yourself missing setup, then you need to ask yourself why is that so? Jumping into the market is never a good idea because you would be trading based on your emotions and not what you planned for. Then you find ways to improve on it from there. Yes trading the higher time frames is definitely less stressful, the candles only paint once a day. Thank you for teaching us for free! I think you are a very intelligent person (well, you are Singaporean 🙂 and truly want to help people. Your posts have very high quality (some are unique that I never found in other places). So I will read all your posts. In order to make enough money for living, one should be a day trader having several trades per day. I’m by no means intelligent, just have a passion for trading haha. That’s a good question and it really depends the kind of consistency you are looking for, and you also need a large enough capital base. 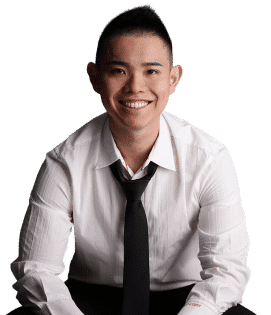 If you are a day trader wanting to be profitable on most months, then yes you need to churn out enough trades each day, for the law of large number to work out in your favor. But if you have 10m and you make a return of 15% a year, that’s 150k and it’s also enough for living. So it really depends on what kind of consistency you are looking for, and adopting the appropriate trading method. Great to know it’s clear for you now. Thank you for your wonderful and clearly article. Do you know how much return a good day trader can make? I read an educator who said: “an experienced trader would be more than happy to make consistent 5% a month”. So I set up this goal since I started trading. But I never achieved it even when I was day trading making several trades a day. Do you know, according to your research or your contacts, what % can a good day trader make? If a trader risk 10% on a trade, he can easily make 50% a month… at the risk of losing 50% as well. A more objective way would be to generate a consistent R each month. From there you can always scale up and attain your desired objectives. I like the simplicity of trend following and I believe it works too. However, for trading a trend, you will most likely be trading on the day or week time frame. This means that your trading account will need to be sufficiently big enough to stomach a move which can be easily 300 to 400 pips a week. I have about 10k in my trading account and by risking 1-2% maximum for a trade, I cannot take many potential setups. The stop loss is too wide for me. Does that mean trend following is for someone who has a deeper pocket to begin with? You could reduce your position size to accommodate the larger SL.